Preheat oven to 225 degrees. 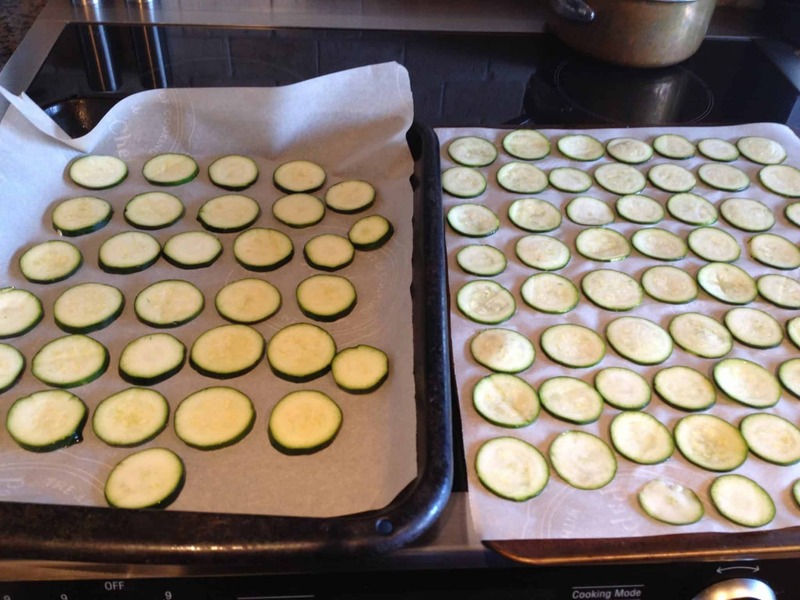 Line two large baking sheets with silicon baking mats or parchment paper. Sprinkle salt throughout the baking sheet. Do NOT over-season, in fact, it’s better to use less salt initially because the slices will shrink; so if you over-season, it’ll be way too salty! You can always add more later. 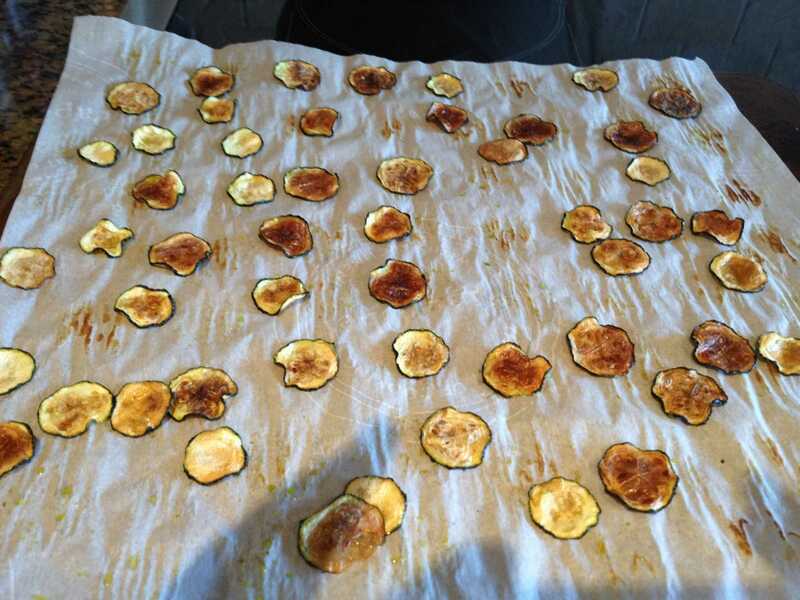 Bake for 2+ hours until they start to brown and aren’t soggy and are crisp. I laughed when these were done because they really, really shrink but they are so yummy!!!!! Enjoy! 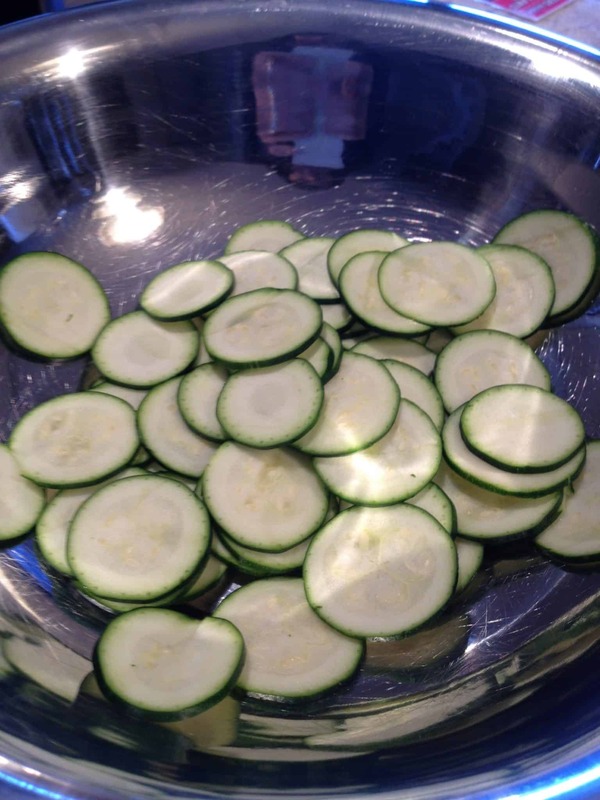 Can’t wait for the garden zucchini to come in to try this, looks delicious-thanks for sharing. You will love them they are absolutely delish! !